Every sport has its own charm and fan following, we believe that sports don’t share any boundaries for fans a soccer fan can be from any place of the world. However, each country supports its own national games or teams in major tournaments. Similarly, in most countries, such as United States each city or place possesses a separate soccer league teams which compete each other in local tournaments. It is also understandable that not everyone can go to any country or city to watch worldwide champion leagues or matches, due to many personal and legal issues. However, to make it easy and convenient for the people there are some amazing sports channels who offer live coverage of major sports events. Not only this you can subscribe to some of the best and top rated sports channels on Roku. Roku ultimately gives you an extra edge over selecting channels, as it has thousands of channels to offer to the valuable customers. There are different channels dedicated to specific sports, so if you are one of those die heart soccer fans we have an amazing channel to share with you. MLS Roku Channel is one of the top rated sports channel on Roku. It gives an ultimate entertainment to the soccer fans. It broadcasts with momentum standings and free highlights from different seasonal soccer matches. 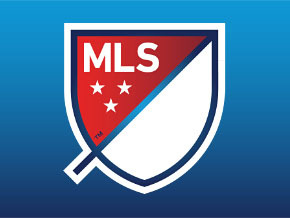 Users can also watch their favorite games and leagues of their favorite soccer teams on MLS which they might not be able to see due to different blackout restrictions. You can literally feel the thrill and enjoyment if you are really into sports by watching your favorite teams plays in front of you. Yes, by subscribing to any of the sports channels available on Roku you can watch different games, tournaments, leagues, sports discussion rooms and much more. Roku Channels for sports are one of the best things you can experience on your TV. If you have Roku device at home you can easily subscribe to any of your desired sports channels and enjoy your time. MLS Roku channel is one of the best, as discussed earlier, it is a subscription based channels which any Roku user can subscribe to. It offers almost 230 live games to watch during the high season of soccer games (with some blackout limitations and restrictions). If you are a member or have its subscription you can also watch the 20 min bonus archived game sessions at the end of each match. You cannot surely miss single sport news and matches having Roku sports channels on your TV. All you need is to go to the channel’s subscription tab and subscribe any sports channels and enjoy unlimited fun and thrill. Sports on Roku make it super enjoyable for the viewers by providing 24/7 sports events, news and leagues. MLS as said before is a free platform to view free highlights of the matches whenever you want.